General TV Channel / Promote social justice in Turkmenistan as well as freedom of information, freedom of speech and democracy through online media. 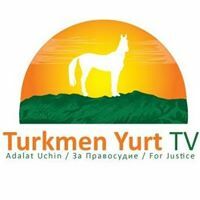 Turkmen Yurt TV is about promoting social justice and democracy in Turkmenistan by enlightening people globally about the current events happening there. Here on the site will be posted articles and opinions of Turkmen people about the past, present and future of our homeland. Our goal is to attract the attention of our fellow countrymen of Turkmenistan, as well as of states and international organizations taking place in Turkmenistan. To give legal assessment to the actions of the official authorities of Turkmenistan on observing the Constitution and ensuring their citizens' rights. We consider it important and necessary, through popular discussion, to seek ways out of the political, economic and social impasse in which the dictatorial regimes of Niyazov-Berdymukhammedov, 1992-2016, led. We are waiting for your letters and responses. Yours faithfully, edition.